Sheargold pianos are a local piano specialist based in Maidenhead. 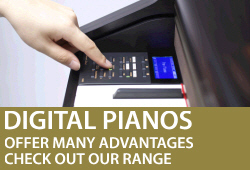 We supply new and used upright pianos, grand pianos and digital pianos to the Marlow and surrounding Buckinghamshire areas including Hambleden, Henley, Hurley, Cookham and Nettlebed. 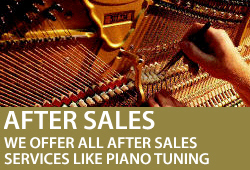 We don't just sell pianos we also buy second hand pianos. If you are in the Marlow area and looking to sell your piano please give us a call on 01628 771400 with more information and might be intersted in purchasing. 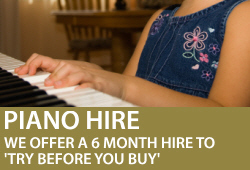 We also offer other piano related services including Marlow piano tuning, piano storage, piano hire and piano removals. If you are in Marlow and moving house or need your piano stored give us a call on 01628 771400 for more information. We can undertake standard A to B moves as well as the more tricky piano removals involving grand pianos and stairs! The Sheargold Pianos delivery van is often in Marlow delivering hire pianos for concerts, weddings and events in the Marlow area to venues including The Compleat Angler, The Crowne Plaza, Liston Hall, Shelley Theater and Danesfield House Hotel. Pop into the shop, just 10 mintues from Marlow High Street to view our range of pianos from all the leading piano manufacturers including Yamaha, Kawai, Schimmel, Reid Sohn and Samick. We also have an extensive range of guitars suitable for the beginner right through to professional. Click below to browse through our range of upright pianos.